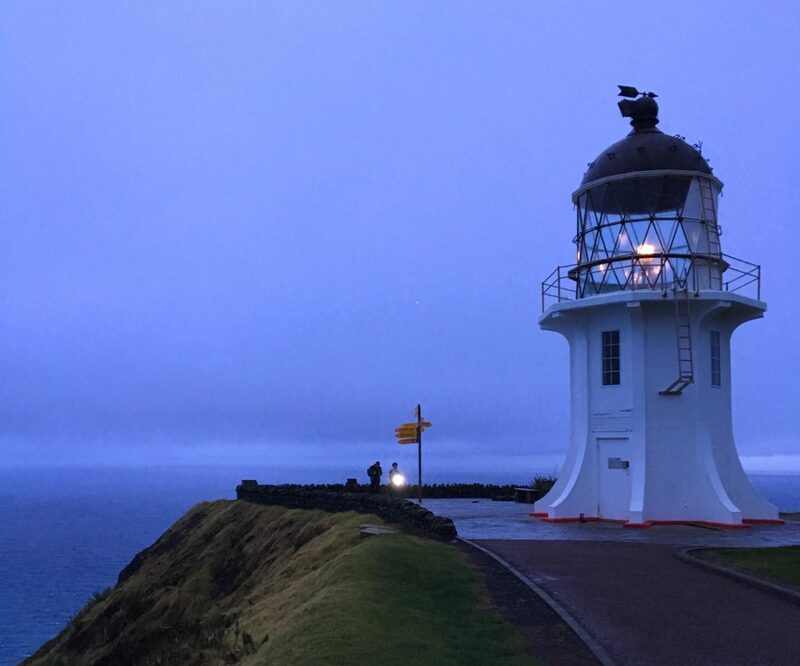 I recently cycled the length of New Zealand over 13 days and used the Exposure Lights throughout my journey. Given the limited daylight and harsh winter conditions – including rain, hail and snow – the Sirius (front) and Blaze (rear) lights became instrumental tools across my 2,336 kilometre journey. In this article I will discuss my experiences with both of these lights and why I believe, in particular, the Exposure Lights pulse pattern technology could save your life. But first, let me describe a distressing scenario I found myself in. It was roughly 6 pm on day two of my 13 day solo adventure. I had 200 kilometres in the legs, I was hunger flatting, cars were zooming past at over 100 kilometres an hour on dark unfamiliar country roads, and roughly an hour prior I’d been jumped by a farm dog. As the last bit of light from the dusk sky fell away, leaving the roads pitch black, I felt exposed and nervy. Bike Box Australia, a partner for Ride the Long White Cloud, had provided both the Sirius and Blaze Exposure Lights for my New Zealand journey, and besides the flashing mode I had used all the previous day, I was yet to really give them a true test. I leaned forward to turn the Sirius from flash mode onto its singular beam. That’s when I encountered a pleasant surprise. The beam that struck the dark roads was immensely powerful, lighting them up and reinvigorating my spirits. Pushing the rear button again, I soon recognised the beam had three separate modes and I was yet to reach the highest mode. One might question why I had not tested such an imperative tool before a long journey like this, but given a decision to ride New Zealand only 7 weeks before the start, I was so distracted by everything else I’d neglected many standard preparation procedures. With no particular expectations on these lights, I was quite simply blown away by the highest full beam of the Sirius. The light emission equated to 575 lumens, I later discovered. At a time where I was feeling distressed and vulnerable, the Sirius played a significant role in comforting me emotionally. Functionally, the single light was like a high beam on a car, lighting up the unfamiliar roads so I could manage the next 18 kilometres before I would hit the outskirts of Auckland, where I would be presented with city lights for my last few moments of day two. Could the Exposure Blaze save lives? Before I left my home town of Melbourne, every New Zealander I spoke with was telling me about “the drivers”. It was their first go-to, even before the road conditions or the winter weather. Fast-forward to the end of my New Zealand ride, I couldn’t help but lead my reflections on the trip with how good the drivers had been. Yes, I’d had a little tooting here and there and a few close encounters on some of the highways with limited road shoulder, however, what I encountered over 13 days in New Zealand – specifically relating to driver road irritation – was similar to what I had encountered during a one day training ride in Melbourne. How could this be? Were the drivers in New Zealand really that forgiving of cyclists? The flashing technology on the Blaze is designed to catch driver’s attention from up to 1 kilometre from the rear. 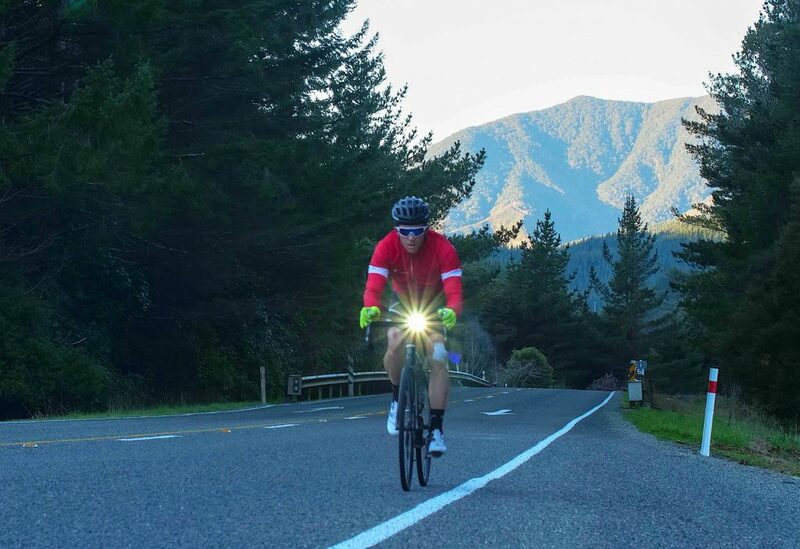 As 80% of cycling accidents happen during daylight, it seems fundamental to have a rear light flashing all day long, particularly if you’re riding solo. When I returned to Melbourne after my journey in New Zealand, my perception of the patient New Zealand drivers shifted to the technology in the Blaze rear light. I’d enjoyed riding with the Exposure Lights so much they instantly became my go to lights on my personal road bike. A few rides later and a very intriguing hypothesis started to unfold. 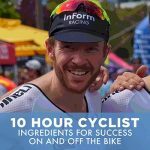 On my solo rides around Melbourne, post New Zealand, I started to sense the drivers giving more of a wide berth than usual and less aggression towards my presence on the road. This recognition quickly led me to learn about the technical aspects of the Exposure Light. The Exposure Lights use an irregular pulsing pattern to cut through the distractions drivers encounter on a day to day basis. In addition, the 80 lumens bolster a high output irregular pattern to entice drivers into its vision. Could a bike light that captures drivers’ attention more quickly and profoundly reduce the amount of frustration and bully-anger many drivers have towards cyclists? While I don’t have official benchmarked test results to prove this to you unequivocally – which would involve thousands of drivers and hundreds of cyclists – I’m sure we can all use our common sense here. Cars and cyclists remind me of the school yard. The bully syndrome. If someone has any inclination to be a bully, which is a fair portion of society, when they’re all of a sudden the bigger and stronger object in the equation, they will make use of this scenario by making their presence felt. But what happens when the victim stands up to the bully? When they indicate their presence and make the bully aware that they’re not going anywhere, particularly before an impulse decision can be made. The Exposure Blaze gives you that presence. With the vast majority of accidents occurring during the day and near a junction, running the front light on constantly should be a must also. The beauty of the Sirius is not only its high beam 575 lumen capability as described at the beginning of this article. This light also has the attention-grabbing irregular pulse pattern to ensure that you stay safe during your daylight rides. Why is “robust & reliable” such an important combination for a light? Have you ever had a light die during a ride? This has happened to me before, and it’s not because the light wasn’t charged properly. I was out riding early morning; the sun had still not risen and my rear light completely died. Not a pleasant feeling with impatient rush hour drivers coming from the rear. Given many bike light options now available in the market and buyers focusing on price more so than ever, it’s no wonder this scenario common. But is a saving of $20, $30 or $40 worth risking your exposure on the road? 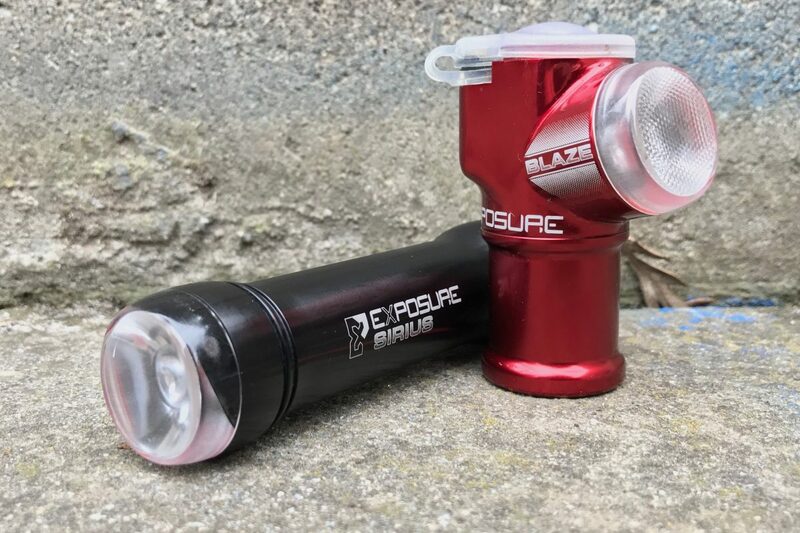 Both the Exposure Blaze and Sirius lights take 4 hours to fully charge with a USB charger, although the port insert is rounded in comparison to many other cycling cord inserts which are more square-edged. The run time, assuming you’re not burning the highest mode, ranges between 36-48 hours, which is rather impressive. There’s an “intelligent thermal management system” that controls the temperature of the LEDs. This feature is important for the long term durability of the light and also ensures no unplanned rapid loss of power due to elevated temperatures. Lastly, there’s a multitude of running options i.e. flash, straight beams at different lumens etc, which appears to be common for many lights these days. Although it’s the irregular pulse that really separates the Exposure Lights in this instance. I know there are many cyclists out there who will put aesthetics over anything else. I know, because I used to be one. While the Exposure Lights are well designed nice looking units, they’re more on the sturdy side than being small and discrete. I don’t think any light could provide such durability and power without a robust make up. Thus, if you are more inclined to look for sleek little lights that can hardly be consumed by the human eye, then these lights may not be your cup of tea. However, if that’s your stance, then I would highly recommend that you investigate the effectiveness of your light in terms of making your awareness felt on the road. It could make you feel less vulnerable on the road and improve your general enjoyment when hitting the pavement. Ultimately, the Exposure Lights provided by Bikebox Australia for Ride the Long White Cloud made me feel safer during the day, less vulnerable during those dark moments riding late into the evening, and gave me confidence that day-to-day they were going to last the distance. It’s for these reasons I have found myself emotionally connected to this product, using it as my constant exposure mechanism. I would highly recommend these lights to any cyclist out there.